To this date of writing, only 6 different companies in Malaysia are granted the lottery permit by the Minister of Finance to operate as a legal gaming entity within the premises of the country. 3 companies are located in Peninsular Malaysia offering the lottery games with the brand names: Magnum 4D, Sports Toto and Damacai. While the 3 brand names located in East Malaysia are Sabah 88, Sandakan Turf Club (STC) and Special Cashsweep. SportsToto was initially a public company owned by the Malaysian government. It was incorporated with the name Unilite Electrical Industries Berhad in 1969 with the purpose to run the Toto betting business. The profit from the business was used to promote sports activities for youth. In 1985, Tan Sri Dato’ Seri Vincent Tan acquired 70% of Sports Toto and the company was privatised. The name was eventually changed to Berjaya Sports Toto Berhad in 1993. Pan Malaysian Pools Sdn. Bhd. “Diriwan” is the original brand name of Sabah 88. But, it is more widely known as “Sabah 88”. The company is one of the only 2 licensed lottery operation companies located in the state of Sabah. It was incorporated as Lotteries Corporation Sdn. Bhd. in 1988, spanning over 40 different outlets throughout Sabah to date. Sandakan Turf Club (STC) is the other licensed gaming company in Sabah. Everise Ventures Sdn. Bhd. is the permit holder for the STC game. It has offices in Kota Kinabalu, Keningau, Sandakan and Tawau. The main office is located at Wisma STC, Kota Kinabalu, Sabah. There isn’t much public information available related to this company. Natural Avenue Sdn. Bhd. was incorporated in 1992. It is the owner of Special Cashsweep, which has been in operation since 1995 The company is a subsidiary of Berjaya Assets Bhd, also owned by Tan Sri Dato’ Seri Vincent Tan. 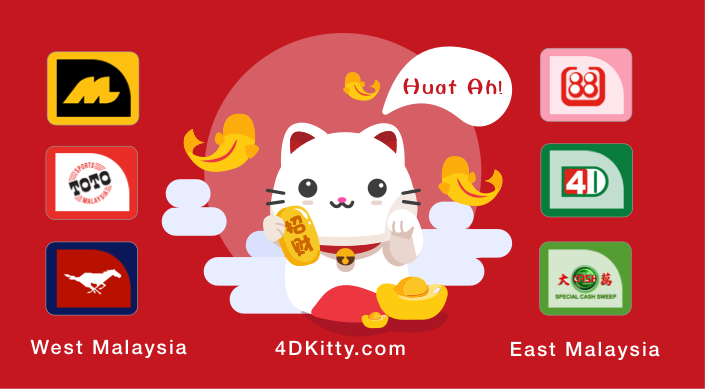 It is the only lottery company located in Sarawak, with its 3 offices located in Kuching, Sibu and Miri. Similar to the Sandakan Turf Club, the company doesn’t have much public information available.